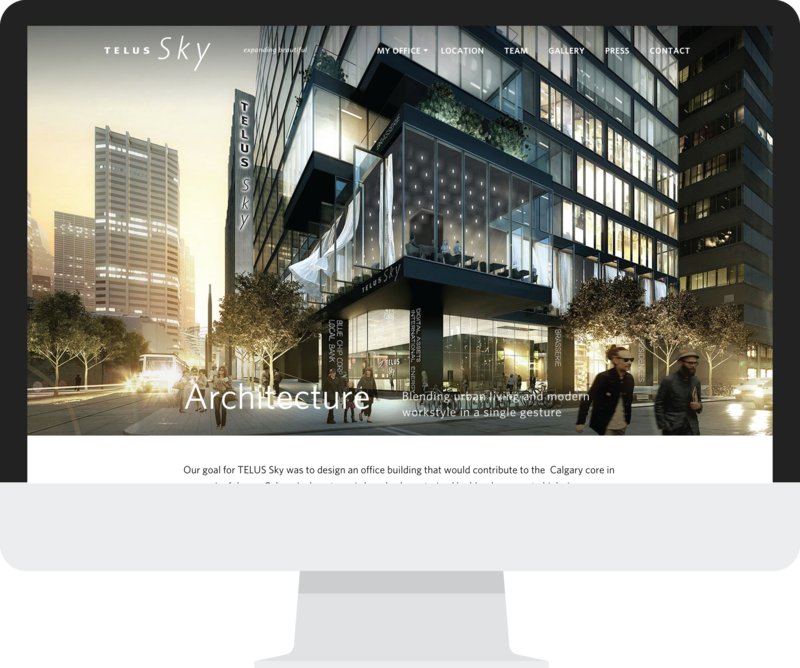 The perfect blend of urban living and modern workstyle, TELUS Sky is Westbank’s innovative contribution to downtown Calgary. Westbank’s goal was to design an office building that would stand out against the backdrop of bland, corporate high rises and help to transform the Calgary core. To help launch the commercial leasing campaign with JLL, we developed a fully responsive website that puts the architecture in the spotlight with a series of breathtaking renderings and animation. 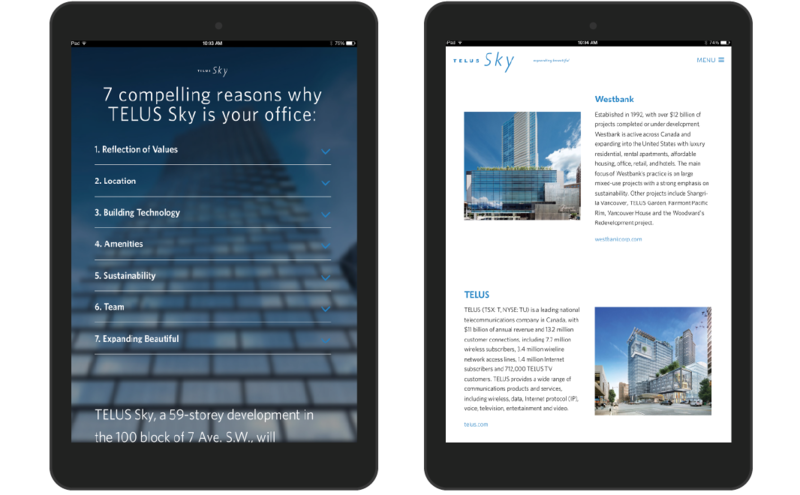 The site functions beautifully on all screen sizes from 5.5″ to 55″ creating a very flexible sales tool.